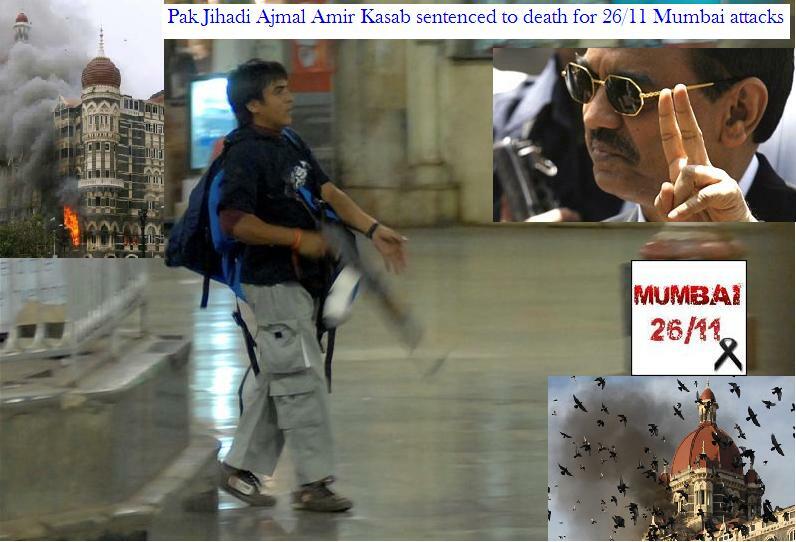 Pak Jihadi Mohammed Ajmal Amir Kasab sentenced to death in Indian Court for 26/11 Mumbai attacks. MUMBAI: An Indian judge on Thursday condemned to death the sole surviving gunman involved in the 2008 Mumbai siege after a year-long trial over the bloody attacks that traumatised the nation. Judge M.L. Tahaliyani imposed the death penalty against Pakistani national Mohammed Ajmal Amir Kasab on four counts of murder, waging war against India and conspiracy and terrorism offences. Kasab, 22, dressed in a traditional white tunic, sat with his head in his hands staring at the floor of the dock as the judge issued the sentence, three days after the Pakistani’s conviction on Monday. Tahaliyani said the evidence showed “previous, meticulous and systematic planning” of the atrocity, which left 166 people dead and hundreds injured and led India to halt peace talks with its arch-rival Pakistan. Branded a “killing machine” and “cruelty incarnate” by the prosecution, Kasab was the only gunman caught alive in the 60-hour assault by 10 militants on hotels, a railway station, a restaurant and Jewish centre. Observers say the death penalty is likely to trigger a lengthy, possibly open-ended, appeal through the Indian courts. The government officially supports capital punishment for what the Supreme Court in New Delhi has called the “rarest of rare” cases but no execution has been carried out since 2004 and only two since 1998. Many pleas for clemency to the president are still pending, including ones from the killers of former prime minister Rajiv Gandhi, who was assassinated in 1991, and a Kashmiri separatist who attacked India’s parliament in 2001. 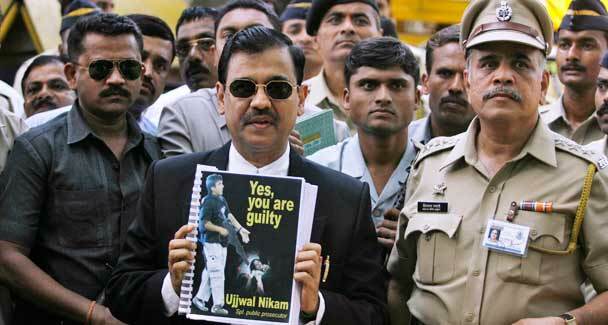 Outside the court, crowds chanted “Victory to Hindustan” while public prosecutor Ujjwal Nikam brandished a poster showing Kasab behind a noose and flashing victory signs to the media. Families of some of the victims have long called for Kasab’s execution, and the clamour for him to be sent to the gallows grew louder after Monday’s widely expected guilty verdict by the court in India’s most populous city. Defence lawyer K.P. Pawar had argued against capital punishment, suggesting his client was brainwashed into committing the offences while under the influence of Pakistan-based extremists. New Delhi, which suspended peace talks with Islamabad after the attacks, wants Pakistan to convict the alleged masterminds, namely the founder of the Lashkar-i-Taiba (LT) militant group, Zakiur Rehman Lakhvi, and key operative Zarar Shah. Hafiz Saeed, head of the Jamaatud Dawa charity, which is seen as a front for the LT, is the third figure blamed by India. Since the beginning of Kasab’s trial, new evidence has come to light about the planning of the atrocity after the arrest of Pakistani-American David Headley in Chicago last year. The 49-year-old, who changed his name from Daood Gilani, admitted to spending two years eluding security forces as he cased out Mumbai for the LT.
Commentators doubt that Kasab’s case will have any effect on either curbing extremism or improving relations between India and Pakistan, which have fought three wars since independence from Britain in 1947. “If he’s convicted and hanged, it’s still going to be years given our legal system,” the executive director of the Institute of Conflict Management in New Delhi, Ajai Sahni, told AFP. Courtesy : DawnNews and Agencies. Kasab, the 26/11 Mumbai terrorist will be hanged soon by India. Pak Jihadi connections established. AFP reports from Mumbai : A Pakistani man who was the lone surviving gunman from the 2008 Mumbai attacks was convicted on Monday of murder and waging war against India for his role in the deadly siege that left 166 people dead. Mohammed Ajmal Amir Kasab, 22, was found guilty on almost all of the 86 charges he faced over the 10-man assault on three luxury hotels, a restaurant, Jewish centre and the main Chhatrapati Shivaji Terminus (CST) station. “You have been found guilty of waging war against India and killing people at CST, killing government officials and abetting the other nine terrorists,” judge M.L. Tahaliyani told Kasab in Hindi. The judge said Kasab had been trained in Pakistan to fight a ‘war’ against India and had been directly or jointly responsible for the deaths of 52 people in the train station — the bloodiest episode of the onslaught. Kasab, in a long white kurta, stood impassively in the dock as the judge took nearly three hours to go through a summary of the 1,522-page verdict in English. A hearing to decide on sentence is set for Tuesday, with Kasab facing the death penalty for the murder and waging war convictions. Indian nationals Fahim Ansari and Sabauddin Ahmed, accused of providing logistical support to the gunmen by supplying them with handmade maps of the city, were found not guilty in a major rebuff to the prosecution. Ahmed’s lawyer, Ejaz Naqvi, said outside the court that they had been ‘framed’ by police and blamed a US-Pakistani national, David Coleman Headley, for scouting out targets for the attacks. Headley admitted identifying targets and providing intelligence to the gunmen earlier this year. He is in US custody but Mr Tahaliyani rejected an application for him to give evidence at the trial. Kasab, a school dropout, was captured in a photograph walking through Mumbai’s train station wearing a backpack and carrying an AK-47 in what has become one of the defining images of the attacks. The former labourer from Pakistan’s Punjab province initially denied the charges, then pleaded guilty, before reverting to his original stance and claiming that he was set up by the police. The case was also ‘proven’ against LeT founder Zakiur Rehman Lakhvi, key operative Zarar Shah and Hafiz Saeed, whose Jamaatud Dawa charity is widely seen as a front for LeT. Lakhvi and Shah are among seven suspects currently on trial in Rawalpindi. 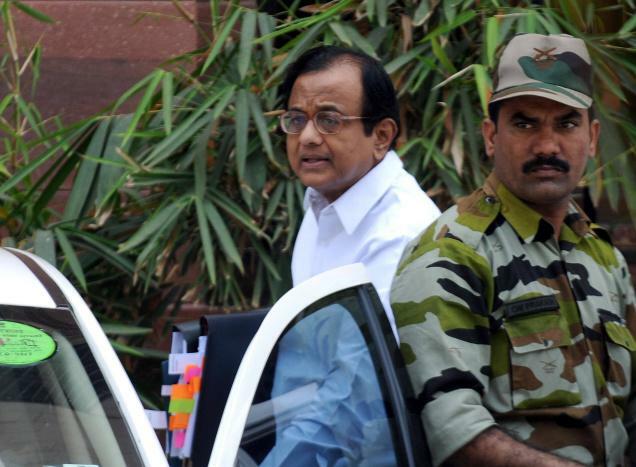 “The judgment itself is a message to Pakistan that they should not export terror to India,” Indian Home Minister P. Chidambaram told reporters after the conviction, adding that the process had been a triumph for the country’s legal system. Dawn Reports from Mumbai: Mohammed Ajmal Amir Kasab was a school drop-out who now faces the death penalty for taking part in the bloodiest episode of the 2008 Mumbai attacks. The 22-year-old Pakistani national was one of two heavily armed gunmen who opened fire and threw hand grenades at the city’s main railway station on November 26, 2008, killing 52 people and wounding more than 100. Biographical details are sketchy but those that have come to light show that Kasab was born and brought up in Faridkot, in the Punjab region of Pakistan. His father, Mohammed Amir Iman, ran a food stall in the village and his mother was called Noor, according to the local electoral roll. Kasab dropped out of school in 2000 and worked as a labourer in the eastern city of Lahore until 2005, according to his initial confession to police, which was widely published in India. Kasab has reportedly said he joined the LeT to get weapons training after deciding to embark on a life of crime but there have also been claims that his father duped him into doing it for money. The prosecution characterised Kasab as a shrewd and calculating operative while security experts said his poor, rural background and lack of education made him more susceptible to grooming by extremists. His former lawyer suggested he may even have been brainwashed into carrying out the attacks. One Faridkot farmer reportedly said that Kasab used to return to the village and talk of “freeing Kashmir”. FARIDKOT, Pakistan : Residents of the home town of the surviving gunman of the Mumbai massacre on Monday angrily denounced his conviction as a travesty of justice. The remote town of Faridkot in the Pakistani farming belt of Punjab province has become notorious as the home of Mohammed Ajmal Amir Kasab, convicted of taking part in the bloodbath in November 2008 that killed 166 people in Mumbai. On Monday, as the 22-year-old Pakistani was pronounced guilty of murder and waging war against India, people in his home town about 26 kilometres (16 miles) from the Indian border sat glued to the breaking news on TV. “Why was there no equal sentence for all the culprits and why has only Ajmal been declared a criminal,” said Muhammad Iqbal, a farmer in his late 50s who reacted with anger after two Indian suspects were acquitted. Islamabad : Pakistan has said that it will examine the issue of providing assistance to Ajmal Kasab, convicted by an Indian court for involvement in the 2008 Mumbai attacks, only if he seeks its help. 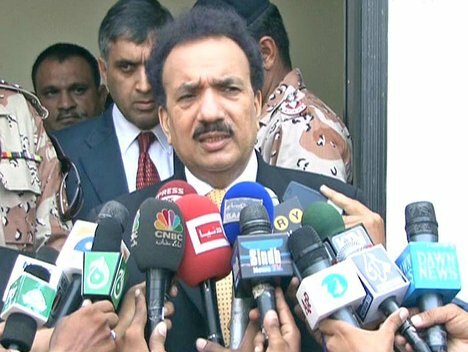 Interior Minister Rehman Malik on Tuesday told reporters that the Pakistan government will react to the conviction of Kasab only after the Indian court’s detailed judgment is made public. He made the remarks hours after a special court in Mumbai found Kasab, the lone terrorist arrested during the attacks, guilty of murder and waging war against India. Kasab was convicted on most of the 86 charges against him and faces the death penalty. Asked by reporters if the Pakistan government will provide aid to Kasab, Malik said authorities would act within the provisions of law. “If someone wants or applies (for assistance), we will examine it. 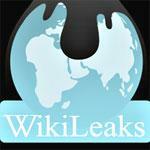 If he doesn’t apply, then we will not examine it,” he said. “Help is given to those who ask for it. If you ask (me), a terrorist is a terrorist,” Malik added. Read more here in Deccan Chronicle………. Courtesy : DawnNews, Reuters, AFP, Khaleej Times, Deccan Chronicle & Agencies. India-Pakistan Relationship :: A New Hope Always Due. Fri, 23 Apr, 2010 | Jumadi-ul-Awwal 08, 1431 | DawnNews. NEW DELHI: Leaders of India and Pakistan are likely to meet in Bhutan’s capital next week as their nuclear-armed rivalry overshadows a summit of South Asian nations to discuss trade and environment. India halted peace talks with Pakistan after the November 2008 Mumbai attacks in which 166 people were killed and which India has blamed on Pakistan-based groups. A meeting between the leaders is seen as crucial because it could help keep alive the idea of engagement between two players whose battle for influence in Afghanistan has a direct bearing on Western efforts to stabilise a region with 1.8 billion people. “It is an opportunity (to meet) and both sides will take advantage of it,” said a senior Indian government official, who spoke on condition on anonymity. 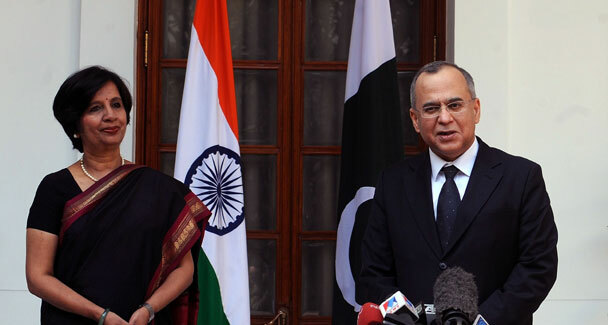 Indian Foreign Secretary Nirupama Rao said there was “as of now” no offer of a bilateral meeting between Prime Minister Manmohan Singh and his Pakistani counterpart, Yousaf Raza Gilani, but did not completely rule out the possibility of one. The two sides have been tentative about engaging since their top diplomats met in New Delhi in February but failed to achieve a breakthrough. That meeting, nonetheless, was seen as a small step towards repairing ties. Differences over the nature of talks have held up a further meeting – Pakistan wants India to restart the peace process; India wants to go slow until Islamabad acts against the Mumbai attack planners. The United States has been urging the two sides to reduce tension so that Pakistan can focus better on fighting the Taliban on its westers border with Afghanistan. “I don’t really want to forecast what is going to happen, but let me say: dialogue is always useful, it helps clear the atmosphere, especially between close neighbours such as India and Pakistan,” Rao said before leaving for Bhutan on Friday. Pakistani Foreign Office spokesman Abdul Basit hinted last week about the possibility of a meeting. “It has not yet been penciled in. Nevertheless, given that our roadmap also provided for a summit meeting in Bhutan, we look forward to a meaningful engagement with India,” Basit said. The scale or content of a meeting between Singh and Gilani could be drawn up by Rao and her Pakistan counterpart, Salman Bashir. Indian officials said hopes of any progress were low. “Our outlook on the meeting is very clear – it has to be terrorism and what steps Pakistan has taken to bring the perpetrators of Mumbai to book,” a senior Indian official said on condition of anonymity. The two sides’ unmitigated animosity has undermined greater regional cooperation, an agenda that was the founding principle of the eight-nation bloc of South Asian Association for Regional Cooperation (SAARC) that meets in Bhutan on April 28-29. Nepal, Sri Lanka, Bhutan, the Maldives, Bangladesh and Afghanistan make up the rest of the group. While SAARC summits are often little more than a backdrop to bilateral meetings between India and Pakistan, the bloc has tried to push forward cooperation in trade and commerce. “Civil society” constitutes the most important public opinion maker in a multi-dimensional society like India. Hence when a section of Indian society is keen to build bridges of love, peace and friendship with a neighbour, it is time to take stock of the ground reality. It is necessary to “know thy neighbour” and to “know yourself”. Nizami revealed to a captive audience that “if one wants to have an idea of what would have been our condition had Pakistan not come into existence, he should visit India to apprise himself about untold pathetic living conditions of the Muslims there at this point of time.” Nizami thundered that “the day was not far off when we would once again conquer India” and that “Pakistan had to play a key role in liberating enslaved minorities from the clutches of Hindu majority” in South Asia. The hate-India attitide does not end with the vituperative and venomous excesses of the national press and Islamabad’s judiciary. It is put into practice with all sincerity and dedication by the de-facto ruling class, the army. The story of the unfinished task of Pakistani establishment does not end with a newspaper group, the High Court and the Army. It is only that now the civilised world outside Islamabad is trying to come to terms with the cocktail of rabid communalism, terrorism and fundamentalism for the sake of expanding its political power base through the state-sponsored religious order’s (should one say “disorder”) foot soldiers like the ghazis, fidayeens, lashkars and mujahideens. The flip side of this long-term diabolical plot, however, is the present masked attempt to “cultivate” the “evil society” of the non-Islamic, (“Hindu”) enemy state of India. Hence the attempt to build a bridge through the Jang group of newspaper’s English daily News. Curiously, however, the Government of India’s ban on this publication 47 years ago is still on. Thus a Government of India notification dated 19 January, 1963 stipulated “The Central Government hereby prohibits the bringing by sea or land into India of any issue of the Urdu newspaper entitled Daily Jang, Karachi, edited, printed and published by Mir Khalil-ul-Rahman from Javed Press, Mcleod Road, or any extract from, or reprint of, or any translation of, or other document reproducing any matter contained in any issue of the newspaper”. In another notification dated 30 January, 1963, the Government of India once again “prohibited” the Daily Jang, Rawalpindi, edited by Mir-Jamil-ul-Rahman. Curiously, the ban has not been lifted to this day. However, ban or no ban, Pakistan can find its way to the “interior” of the “Hindu India” and get away scot-free for its acts of omission and commission through its media, its biased anti-minority higher judiciary and the army of Islamabad which the Pakistanis consider it to be the army of Islam! One pities the psychic disorder of the Pakistani ruling class which is not its own creation. It has been in the genes of the “ruling class” of South Asia through the ages. One can get an idea of the Pakistani psyche in general and read the mind of Muslims in particular from the following speech of a liberal Muslim leader (Mr R.M.Sayani) in his presidential address at the 12th Indian National Congress held in Calcutta in 1896: “Before the advent of British in India, the Mussulmans were the rulers of the country. The Mussulmans had, therefore, all the advantages appertaining to the ruling class. The sovereign and the chiefs were their co-religionists, and so were the great landlords and the great. The court language was their own. Every place of trust and responsibility or carrying influence and high emoluments was by birth theirs. The Hindus holders of position were the tenants-at-will of the Mussulmans. The Hindus stood in awe of them. Enjoyment and influence and all the good things of the world were theirs. By a stroke of misfortune, the Mussulmans had to abdicate their position and descend to the level of their Hindu fellow-countrymen. The Hindus who had before stood in awe of their Mussulman masters were thus raised a step by the fall of their said masters, and with their former awe dropped their courtesy also. Having successfully regained the status of the “Muslim ruling class of Pakistan”, in 1947 which they had “lost to the British in 1857”, the Pakistanis just cannot forget that their predecessors (even if not necessarily bound by blood) were the minority ruling class over a vast majority of non-Muslim people which, at its peak, stretched from the Hindukush to Chittagong and Kashmir to Cauvery. Hence, “once a ruler, always a ruler” is the attitude. And that is the problem. The Pakistanis, thus, given a chance, would like to get as much and as many of their co-religionists as possible under a single religious umbrella to spread the mantra of its rule over India. Unfortunately, some Indians of “civil society” have decided to look the other way to avoid the issue thereby abdicating their duty and responsibility to protect and preserve freedom. That is the “wonder that is India”! Courtesy : The Statesman||Mr. ABHIJIT BHATTACHARYYA||International Institute for Strategic Studies, London. Union Home Minister of India P. Chidambaram on Thursday urged Pakistan’s “friends” like Britain and the U.S. to put pressure on it to shut down terror camps operating from its soil. “Nothing so far,” was his reply to a question whether there had been any progress. He said it would be “naïve” for Western countries to think that terrorists operating from Pakistan posed a threat to India alone. “Once you allow these terror groups to train, recruit and build capacity to strike, they can strike in India, they can strike in the U.K., they can strike in Denmark as they were planning out of the Karachi project,” he said. Answering questions about the recent terror attack in Pune, the Home Minister admitted that there was a security lapse. Courtesy : The Hindu News Paper – Internet Edition. Tags:Indian Home Minister, P. Chidambaram, Pakistan, Pakistan Global Terrorism, Pakistan is still dane of Global Terrorism against the world Peace, Pakistan must close terror camps: Chidambaram, Pakistan Terrorists Camp, terror camps, U.K., U.S.
Pakistan helps LeT and JuD to achieve its True Goal:: Capture India, not only Kashmir from these 42 ‘terror’ camps. India’s Defense Minister A.K. Antony. – AP (File Photo) L. ……… Pakistani Defense Minister C. A. Mukhtar – CNN (File Photo) R.
VASCO: India on Wednesday said 42 militant training camps were operating in Pakistan and accused the country’s government of making little effort to close them. The accusation came after the foreign secretaries of India and Pakistan met last month for the first official talks since the 2008 attacks on Mumbai, which India blames on Pakistani militants. 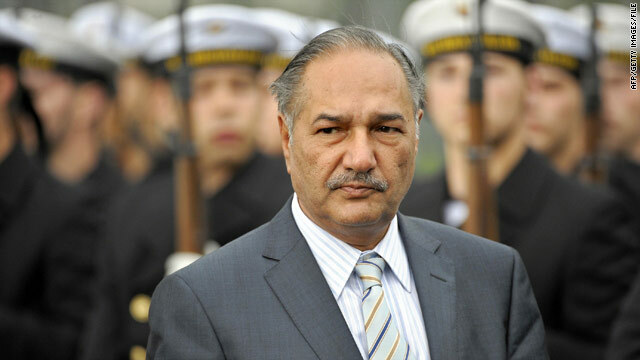 “There are 42 terror camps in Pakistan (and) all the terrorist camps are active,” Defence Minister A.K. Antony said at a military function in Goa state. “Pakistan has not taken serious steps to destroy these terror camps,” he said. India blames the Pakistan-based Islamist group Lashkar-e-Taiba (LeT) for the Mumbai attacks, which left 166 people dead and another 300 injured. The recent talks between the nations resulted only in a promise that both sides would stay in communication. 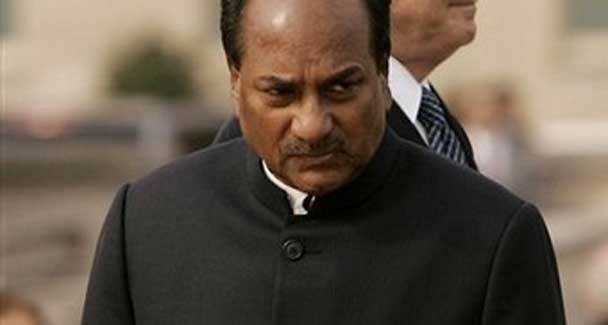 “As far as the dialogue is concerned, India will explore all possibilities but I don’t expect any miracles,” Antony said. Pakistani Lashkar’s true goal : India, not only Kashmir. Recent actions by Pakistan-based Lashkar-e-Toiba (LeT) have fuelled a belief in Washington that the militant group’s agenda is much broader than a resolution of the Kashmir dispute between India and Pakistan. Shuja Nawaz of the Atlantic Council echoed that opinion. “Resolving the Kashmir problem by itself is not going to remove this threat because the aim of these groups is to leverage themselves into a position of power inside Pakistan and to take control,” he said. Over time, LeT took a life of its own, he said, and found the economically backward regions of Pakistan’s Punjab province to be a fertile ground for recruiting militants. Nawaz said Pakistan’s Inter-Services Intelligence (ISI) agency lost control of LeT as the group became self-sufficient. “Similar to the disbanding of the Iraqi Army after the US invasion when thousands of trained soldiers and officers were let go, the LeT was cut loose without a comprehensive plan to disarm, retrain, and gainfully employ the fighters,” he added. Earlier this year, Jamaat-ud-Dawa (JuD) chief Hafiz Mohammad Saeed, the alleged mastermind of the Mumbai attacks, accused India of imposing war on Pakistan by constructing “illegal dams” and diverting the water of Pakistani rivers. In a fiery diatribe at the launch of a “nationwide protest,” Saeed called upon the Pakistani government to prepare the country to counter this aggression. This focus on water issues has added credence to an opinion held by a growing majority that Kashmir is merely a red herring raised by LeT and its affiliates. “LeT represents… a Frankenstein’s monster created for the purpose of assisting the Kashmiri freedom movement but that ended up becoming a powerful Sunni Punjabi movement with an independent agenda that appears to have taken on a broader regional role,” Nawaz contended. While the panel’s co-chair, Dan Burton, Indiana Republican, was insistent that the resolution of Kashmir should be the No. 1 issue for everyone involved, subcommittee chairman Gary Ackerman, New York Democrat, disagreed. Ackerman cautioned against the temptation to think that LeT is interested only in the “liberation” of Kashmir. “The LeT’s true goal is not Kashmir, it is India. And the LeT is not shy about announcing that its intention is to establish an Islamic state in all South Asia. Neither does it hide or try to play down its declaration of war against all Hindus and Jews, who they insist are enemies of Islam,” he said. 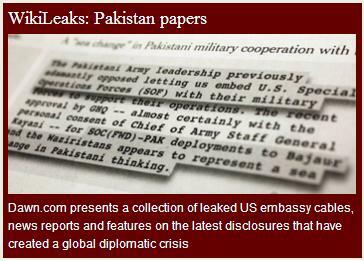 Courtesy : DawnNews, AP, The Tribune-Chandigarh and CNN. NEW DELHI: Indian Home Secretary Gopal Pillai has said that a bombing that killed 16 people in Pune last month was carried out by home-grown Islamists with alleged links to militants in Pakistan, reports Reuters. “All the evidence which is coming currently is showing that it is the IM (Indian Mujahideen), rather than a Hindu militant group, involved in the Pune blast,” he told Reuters in an interview on Monday. Mr Pillai alleged that Indian Mujahideen operatives were being trained in Pakistan and had links with the banned Lashkar-e-Taiba. “The handlers are the same, the set of handlers which was involved in Mumbai,” the official said, referring to the weekend arrest of two suspected IM operatives in the city who were believed to be planning bomb attacks, including in the offices of energy firm Oil and Natural Gas Corp. He said the growing power of the LeT was a big threat to peace in the region and the militant group was spreading its tentacles beyond India and Pakistan. “At least in the Middle East we find people. In Dubai, in Sharjah, in Saudi Arabia, the tentacles are there of the Lashkar-e-Taiba,” he said. He said the LeT had even spread to Hong Kong and Singapore. Mr Pillai said the reason there had not been a repetition of an attack like the Mumbai carnage of 2008 was 25 per cent due to geopolitics and Pakistan holding back, perhaps fearing Indian retaliation, and 75 per cent due to the busting of at least 14 IM cells since then. “There are several modules still there… Our real fear is something they are doing now for something in 2011 or 2012. We do not know who is doing it,” he added. KARACHI || Friday, 26 Feb, 2010 ||Rabi-ul-Awwal 11, 1431 : Three high profile militants have been arrested on friday in Karachi. Police claim to have foiled a major terrorist attack planned for the 12th Rabi Ul Awwal celebrations. Officials have told DawnNews that three suspects belonging to banned outfit Lashkra-e-Jhangvi have been arrested from Jamshed road. 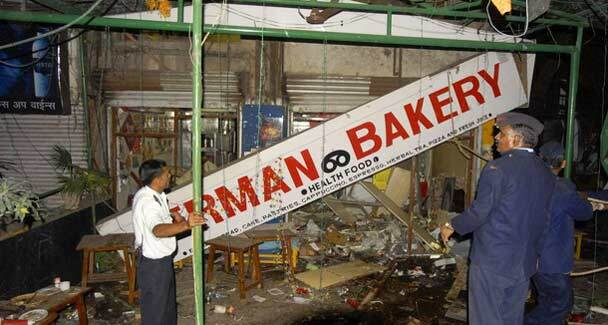 Police claim to have recovered over 20 kg of high intensity explosives of Indian origin. Investigators say the militants had been planning to carry out the attacks tomorrow. Meanwhile, fool proof security arrangements have been made for Eid-e-Miladun Nabi in light of intelligence that Tehreek -e-Taliban Pakistan might be planning to target the holy processions in different cities of Punjab, including Rawalpindi and Islamabad. – DawnNews. KABUL: A video of a Pakistani Taliban leader with the bomber who killed CIA agents in Afghanistan indicated cross-border links between Afghan, Pakistani and Al Qaeda militants, the US regional envoy said on Sunday. 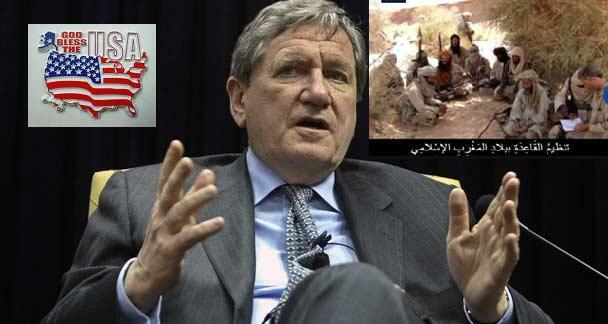 Special Representative Richard Holbrooke said in an interview in Kabul that “shadowy but unmistakable” links between groups exposed by the video helped explain why the United States and its allies were fighting in Afghanistan. The video released this month showed the Jordanian suicide bomber posing with Pakistani Taliban chief Hakimullah Mehsud, before carrying out the Dec 30 attack which killed seven CIA employees, the deadliest strike on the agency in decades. they are in Pakistan?’ I think this incident highlights the explanation for what we are doing, because there are some shadowy but unmistakeable connections here,” he said. 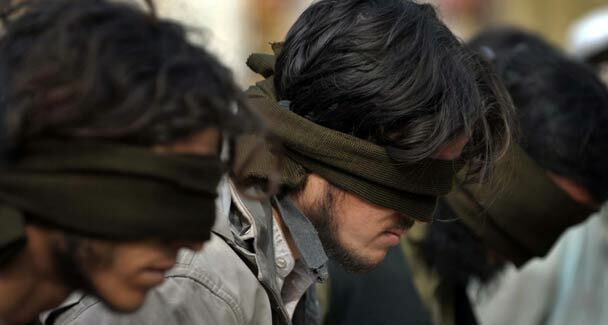 “They’ve all claimed credit for it,” he said of the various militant groups with some possible hand in the CIA attack. Asked whether he had put more pressure on Islamabad to do more in border regions to rout insurgents, Mr Holbrooke said Pakistan’s military was stretched “very thin”. “I think they are well aware of the fact that the presence on their soil of the Afghan Taliban and its leadership is not in their own security interests. They know how important this is. They are our allies,” he added. Easing tensions between India and Pakistan would help western efforts in Afghanistan, said Mr Holbrooke. However, it was up to Islamabad and New Delhi to find their own path towards better ties. He said Washington would welcome better relations between Islamabad and New Delhi, but he had no plans to act as a mediator between the two rival countries. “President (Barack) Obama has said publicly that if India and Pakistan improve their relations, he would welcome it,” he said before leaving for New Delhi. “But it’s up to them to do it for themselves. We are not intermediating between Islamabad and New Delhi. He described his visit to India as a “consultative trip, it’s not a negotiating trip”, unlike his stops in Afghanistan and Pakistan. His aim was mainly to explain US regional strategy to Indian officials, on his first visit since Mr Obama announced 30,000 extra troops for Afghanistan in December. “In this extraordinary strategic context, every country has a legitimate security requirement which has to be acknowledged if we are ever going to get to a resolution of this 30-year process,” he said of the three decades of war in Afghanistan. “The Pakistan-India relationship is unique because of its origins on the same day in August of 1947 and the unresolved issue of the territory on their common border, which has been so disputed,” he said. Courtesy : Dawn, Reuters & Google.